N1250SCRMP : Ni-Cd Motor Battery Pack, made with SANYO N-1250SCR (4/5 Sub-C) cells. 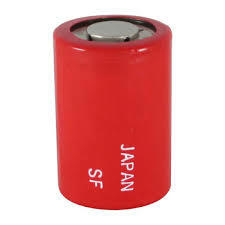 Home > RC Hobby > Motor Battery Packs > N1250SCRMP: Ni-Cd Battery for RC electric, made with N-1250SCR cells. N1250SCRMP: Ni-Cd Battery for RC electric, made with N-1250SCR cells. Ni-Cd Motor Battery packs, made with SANYO 1250mAh N-1250SCR (4/5 Sub-C) FAST CHARGE cells. Ideal for high-output electric motors. CELLS ARE 0.91" dia. x 1.34" TALL. Choose pack Voltage, pack Shape, & Wire Leads or a Connector from the scroll-down menus. Pricing starts at $40.00 (7.2v, wire leads), and reflects options chosen. New Pricing effective April 2018.